Dear All, My collegue Mr.Deepak Verma is undergoing treatment for cancer at Apollo Hospitals. 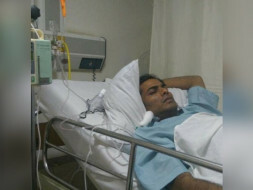 He is presently in the ICU. 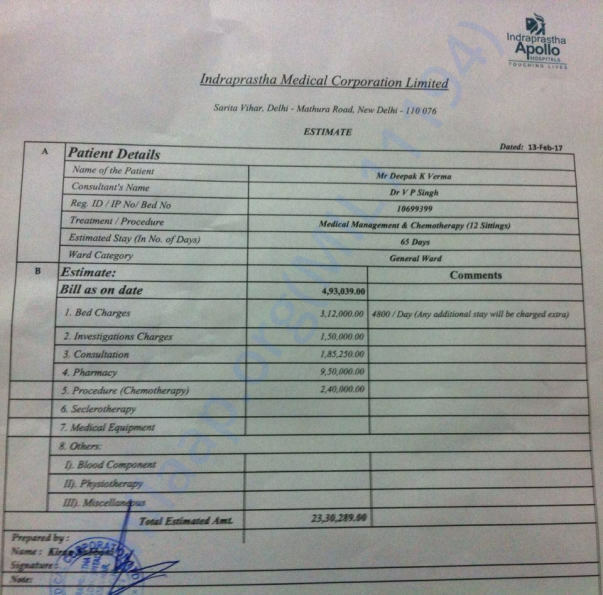 He needs financial support for treatment up to Rs 15 lakhs. He is the only breadwinner in his family. Deepak has two small children and a bedridden parent. Help support Deepak's fight against cancer- Kindly share with your friends and help as much as you can! We have some unfortunate news to share. We have heard from Ankit that Deepak passed away on Monday (April 27th). Though he showed signs of improvement, the third round of chemo was too hard on his body. Our heart goes out to this young father who fought so hard for his life. This is a very difficult time for the family and we hope they find strength in this time of grief. Deepak's family is thankful for all the support that you have shown them at this hour. May Deepak's soul rest in peace. be brave and win this one! !